Know the rules. Local governments commonly send assessment notices to homeowners in the first few months of the year. Before you get yours, check the deadline for challenging the value. 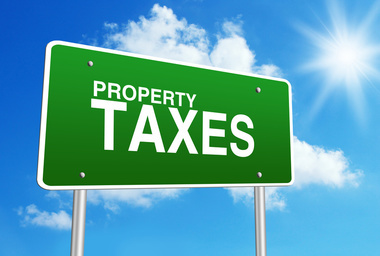 You may have just a few weeks — be sure you know how your locality assesses property. Some localities set the tax assessment at a percentage of market value — 80 percent, for example, so don’t be smug if you get a $90,000 assessment on a home you think is worth at least $100,000. Catch a break. Make sure you’re getting the tax breaks you deserve. Some states allow anyone who owns and lives in a primary home to shield a portion of its value from taxation. You may be eligible for credits based on your income or status as a senior citizen, a veteran or a disabled person. In Florida, all homeowners are eligible for a homestead exemption; those 65 and older who meet certain income limits can claim extra dollars. Other jurisdictions reduce a percentage of your tax bill if you meet certain criteria. Tax breaks are valuable and often overlooked — make sure you don’t leave anything on the table. Set the record straight. Check your property’s record card, which you’ll find at your assessor’s office or possibly on its website. This is the official description of your house. If you see an outright error, maybe it says you have four bedrooms but you reside in a two-bedroom bungalow, you can ask the assessor to fix the problem on the spot by reducing the assessed value and your tax bill. That saves you the trouble of making a formal appeal. Fight city hall. The process varies by locality, but you’ll likely send your appeal and your evidence — data on comparable properties, blueprints, photos and repair estimates — to the assessor for review. You should get a verdict within a couple of months. You can often take your case to the appeals board if you’re still not satisfied. Put your persuasive skills to work. Don’t whine; save your opinions on politics and tax rates for elected reps who vote on those matters.